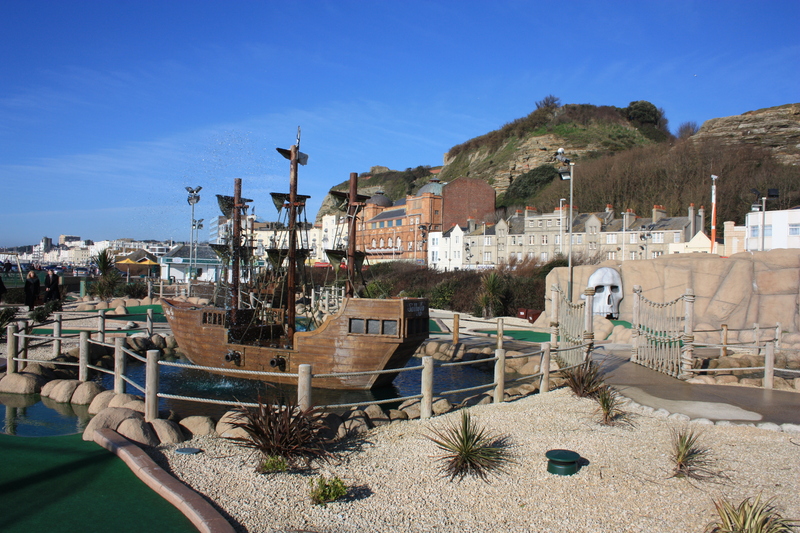 As we walked through the beachfront amusements of Hastings we passed a well-themed adventure golf course, one of three that sit next to each other and which appear to be quite locally famous. It had a pirate theme. Miniature galleons sat in small lakes around the course, and every now and again there were sploshes in the water, simulating cannonballs bouncing around. Or were they errant golf balls, sliced by over-zealous and heavy-handed grockles? 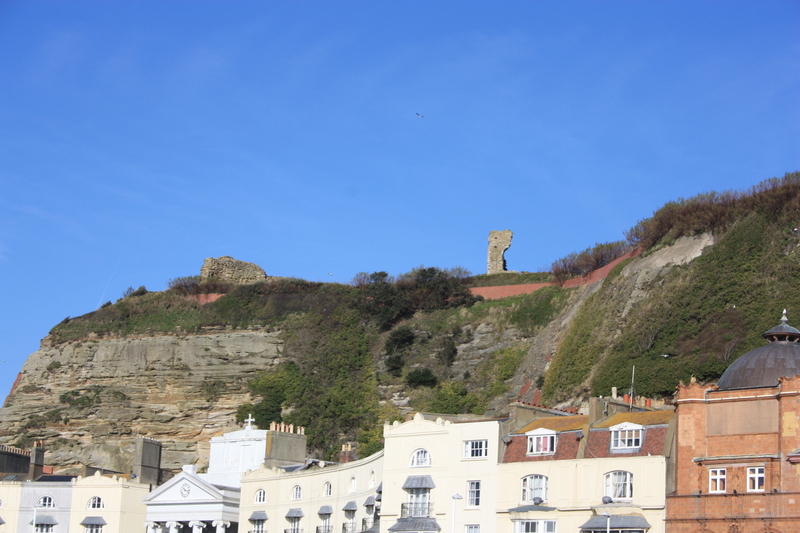 Sat above this part of the town are the ruins of Hastings Castle, one of the first built by William the Conqueror upon his arrival in 1066. Its construction is depicted on the Bayeux Tapestry. It was built on a cliff, but in 1287 there were violent storms lasting several months. The cliff, and part of the castle, crumbled into the sea. The castle is situated on West Hill, through which run a series of caves, called St Clement’s Caves. It is not known exactly how these caves came to be here. The earliest reference to them is in 1783 when there is a note of two people living in one. They were then long forgotten, but in the 1820’s a local grocer was cutting a garden seat into the cliff and got something of a surprise when he knocked through to a large cavern. Today, the 54,000 ft² network of passages and caverns is a tourist attraction, “Smugglers’ Adventure”, although most sources doubt that smuggling activities ever took place here. We carried on walking, through Pelham Beach and onto Hastings Pier. Poor old Hastings Pier! 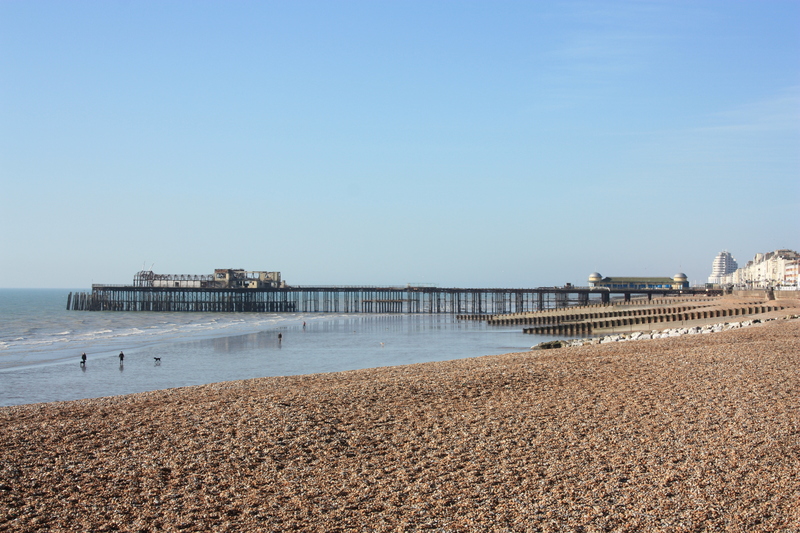 Hastings Pier was built in 1872, and enjoyed great success right up to the 1960’s. Its history is not without little mishaps here and there: fire, storm damage, and the other sort of problems piers have to contend with now and again. However, in 1990 a storm caused significant damage, requiring a £1 million refurbishment. Even then, further work was required to the substructure which had become unstable. Liquidators were eventually appointed. The pier closed in 1999, and was sold in 2000. In 2002 it was reopened, but in July 2006 the Council surveyed the substructure and closed it again, deeming it unsafe. Funds were found to implement a £300,000 refurbishment, and parts of the pier were reopened a year later. Parts were still off-limits, however, and there was still considerable concern about its structural stability. In November 2009 engineers said that the pier was “one good storm away from collapse”! They also recommended £24 million pounds would have to be spent on structural repairs. The pier was put out of its misery when, on 5 October 2010, it caught fire and was all but destroyed. Two people were arrested on suspicion of arson, though no charges were brought. Poor old Hasting Pier! The burnt out wreck sits patiently, awaiting a Heritage Lottery grant to fund the start of its restoration. 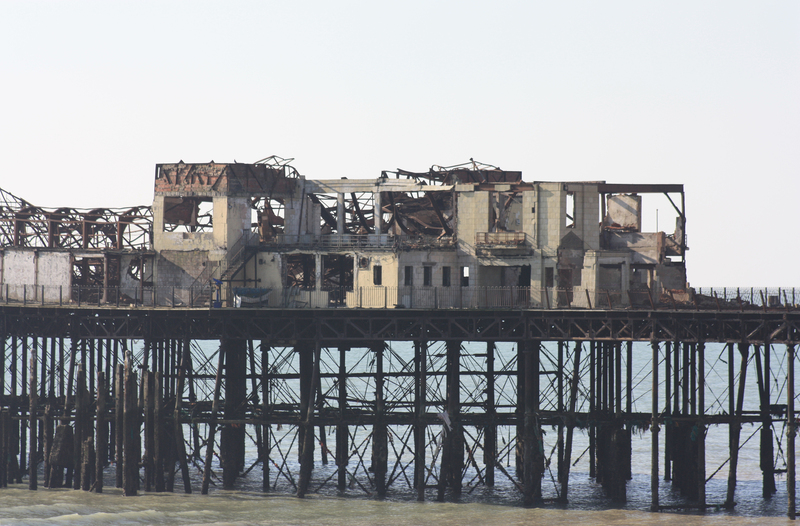 It has to be said, having been roundly condemned and then torched, it’s still standing – good for you, Hastings Pier! This entry was posted in East Sussex and tagged adventure golf, arson, castle, coast, hastings, pier, travel, walking. Bookmark the permalink. That is one fantastic looking mini golf course! Grockles are very much a bastion of the British seaside scene – I don’t think you find them outside the UK!